Millennials are often considered impatient and outspoken with limited ability to take criticism – but most experts agree they have more potential than previous generations. It may sound like high maintenance, but adapting to millennials’ career dreams can create a workplace that is highly productive and extremely rewarding. Let’s not forget, qualified and well-educated millennials are adaptable, flexible and able to deal with an ever-increasing rate of change. Forget being ‘tech-savvy’, they’re technology sophisticated, and many share the dream to do something that changes the world. So there’s no lack of motivation within their own goals, so how can you motivate them for your business goals? According to aboutmoney.com there are four key ways in which you can give millennials what they’re seeking. Provide structure. Make sure what is expected is clearly lined out where possible: reports have monthly due dates, meetings have agendas and minutes, goals are clearly stated and progress is assessed, define assignments and success factors. Provide leadership and guidance. Millennials want to look up to you, learn from you, and receive daily feedback from you. They want “in” on the whole picture and to know the scoop. Plan to spend a lot of time teaching and coaching and be aware of this commitment to millennials when you hire them. Encourage the millennial’s “can-do” attitude. Millennials are ready to take on the world. Their parents told them they can do it – they can. Encourage – don’t squash them or contain them. Take advantage of the millennial’s comfort level with teams. Encourage them to join. They are used to working in groups and teams. In contrast to the lone ranger attitude of earlier generations, millennials actually believe a team can accomplish more and better. 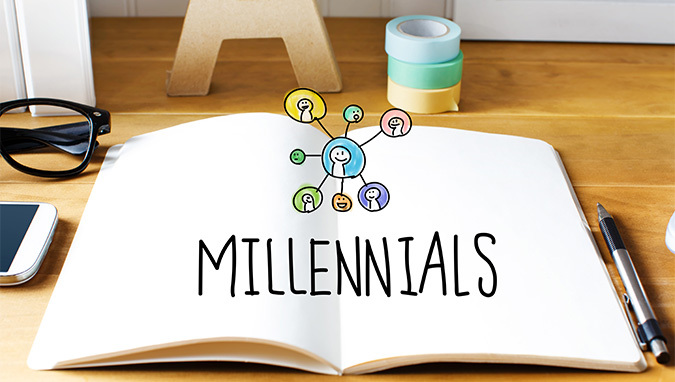 How Do You Monitor and Manage Millennials? Not only are millennials bringing fresh talent, innovation and a shift in the workplace, but so too is employee monitoring software. With the right monitoring software you can assess which of your millennials (as well as other generation workers) are the ones you can really develop and adapt to in order to get the very best out of them. Monitor the above to identify key areas in which millennials exceed expectations, and where they need guidance. Praise those that work hard and give constructive criticism to those who could be doing better. Discover where more structure may be needed if employees are spending too much time on social media and lead them by example. Millennials want to achieve, and they can be an extremely valuable asset for your business when given the opportunity. To learn more about Digital Endpoint’s KnowIT employee monitoring software, click here.